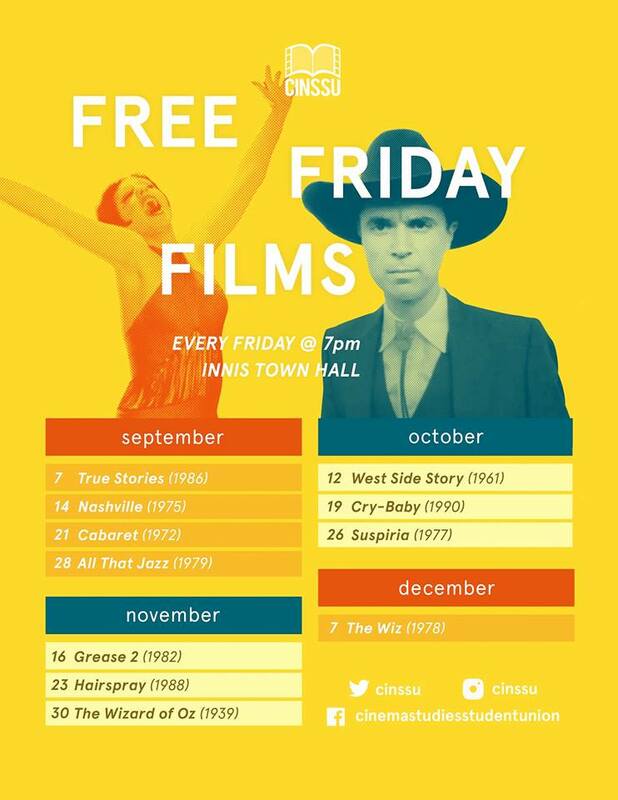 CINSSU continues their Free Friday Film series with a screening of GREASE 2 (1982, 115min) on Friday November 16th at 7PM. Admission for this and all Free Friday Films is FREE! Want to know more about CINSSU and their upcoming screenings and events? Like them on Facebook.